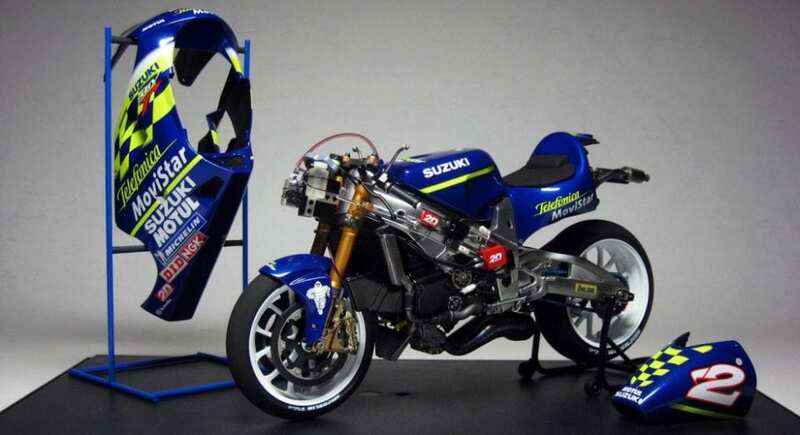 The Suzuki Village is a special feature, displaying a stack of rare racing machines of the marque. These include the two RG500s which Barry Sheene rode to world championship glory, alongside Kevin Schwantz’s 1993 championship-winning RGV and Kenny Roberts Junior’s MotoGP world-beater. The village also houses related owners’ clubs and select specialists offering Suzuki spares and expertise. Expect to see plenty of Kettles, X7s and Katanas on the club displays. 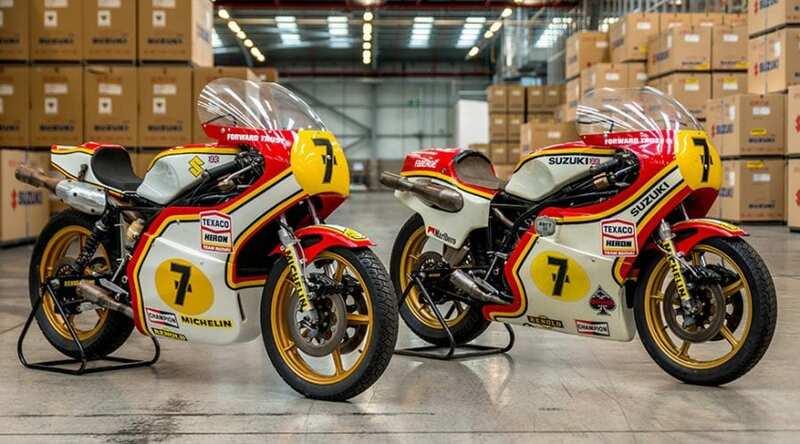 Sticking with the Suzuki theme – locate the VMCC stand where you can buy tickets to win the club’s GT750 Kettle, as seen on this very site. Other clubs who always put on a good display include the BSAOC (Prestwood hall), the Moto Guzzi Club (upstairs above the main hall), the Benelli-Motobi Club (Argyle hall) and the Ariel Owners MCC (ummm, not quite sure where. It’ll be the stand with lots of Ariels on it. Can’t miss ’em. Look for prancing ponies – they’re not likely to be Ferraris, now are they?). Oh, and look out for Dave Minton’s old Laverda, all spruced up on the ILOC stand. You’ll find the RC Crew in our usual place, stand B100, on the balcony above the main hall. 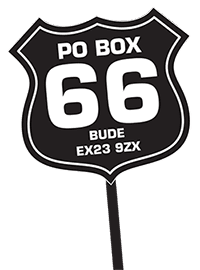 Drop by to subscribe or renew (we’ve even got a card machine these days), browse the back issues, buy a natty magazine binder or maybe one of our new RC T-shirts. If you’re a fan of Frank’s fiction then he’ll be signing books while drinking mucho Americano (no milk, thanks). Oh, and don’t forget to collect your exclusive subscriber’s sticker! 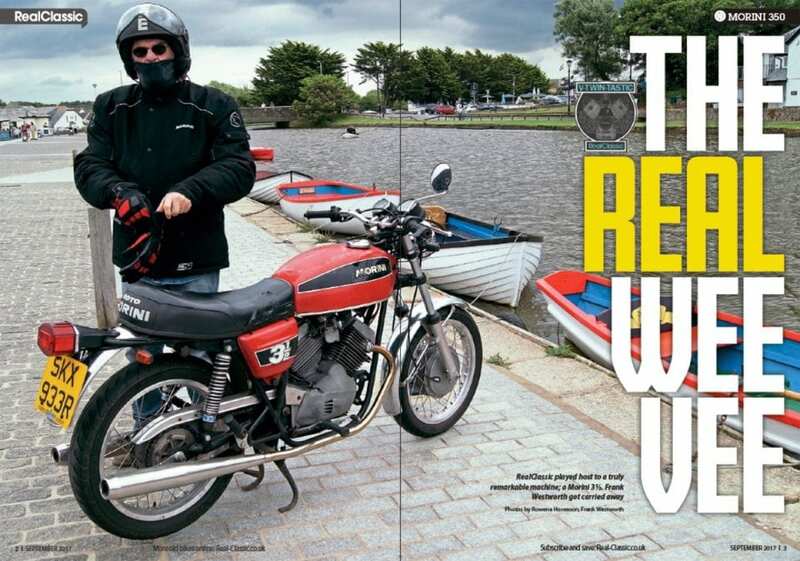 Speaking of RC, the Morini 3½ Strada which stole our hearts and appeared on the cover a couple of months back should be under the spotlight on the Morini Riders’ Club stand, also on the balcony. Rumours that EV Guru serves a mean cup of espresso have yet to be confirmed. Honda heaven awaits in the form of special guest and WSB winner Aaron Slight who will be interviewed by Steve Plater. 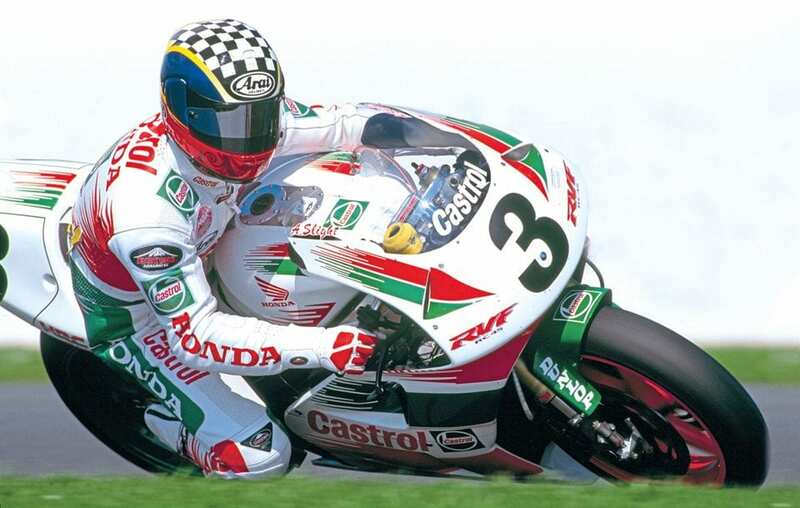 There’s also a special display of genuine competition RC45s, including Jim Moody’s TT record-breaking factory bike. 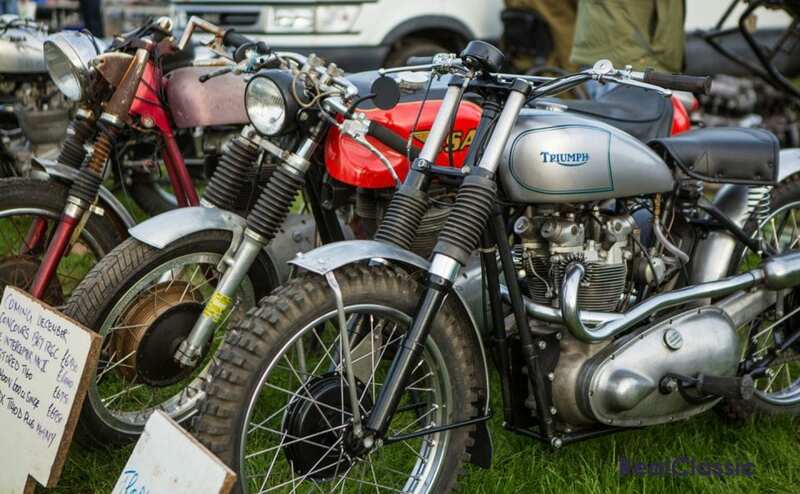 Drop by the Classic Racer paddock to hear the machines in action. The live Restoration Theatre is being hosted by the VJMC this time, so check the timing of sessions throughout the weekend when they’ll be wielding the spanners to solve real-world workshop problems. It’s located in one of the side halls, next to the main hall. If you’re gasping for a brew and happen to be a paid-up ‘friend’ of the National Motorcycle Museum, then stop off at the NMM stand to avail yourself of complimentary cuppa. 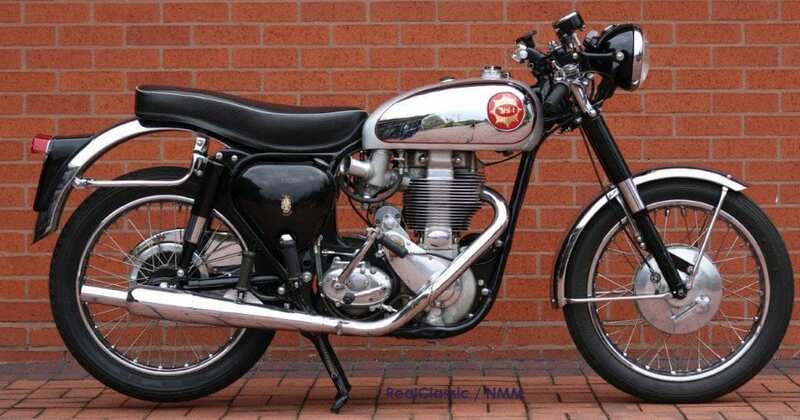 You’ll also be able to buy raffle tickets for the museum’s current prize bike – the BSA Gold Star seen here. 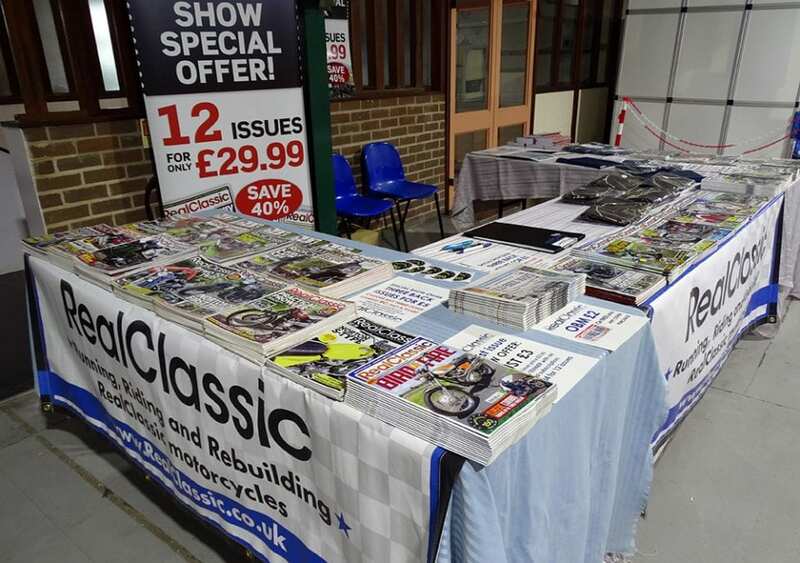 There’s still time to order spares from your favourite classic bike specialists including Paul Goff (usually in the Prestwood hall), David Silver (main hall), Motorworks (one of the side halls), Restoration Supplies (Prestwood hall), SRM (main hall), P&P Seating and the Amal carb company (stand M24 in the main hall). The Bonhams auction takes place on the Sunday in the Sandylands hall. Admission to the sale is via paid-for catalogue, with viewing on the Saturday. The first lot – a Pilgrim oil pump – goes under the hammer at 10.30m on Sunday. We’ll have a full preview on this site, highlighting our favourite lots, a couple of days before the event. Next Post:October issue out now!